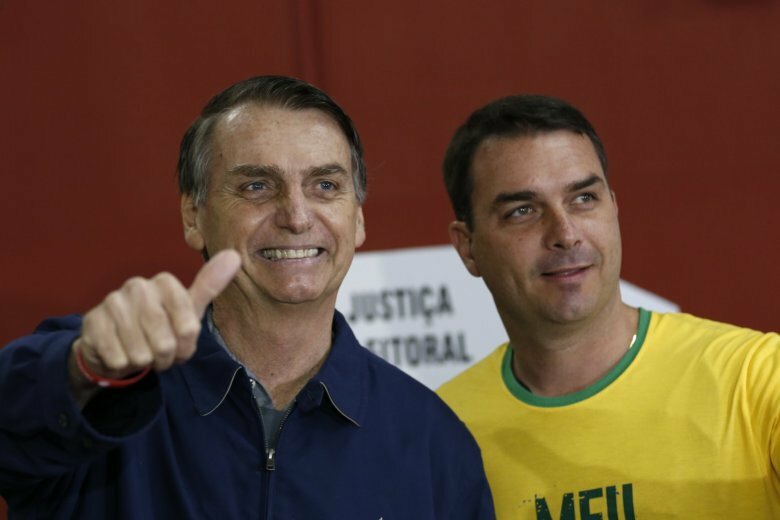 SAO PAULO (AP) — Long before Sunday’s election that saw Jair Bolsonaro get 46 percent the vote in the first round of the presidential race, many observers flirted with the idea that the far-right congressman was a “tropical” Trump. Bolsonaro, who will now compete in a second round runoff on Oct. 28, presented himself as someone who tells it like it is while promising to dismantle a dysfunctional political system and seeking to capture the imagination of many citizens afraid of losing their place in an increasingly diverse and inclusive society. For candidates who don’t trust the media, social networks provide the perfect outlet. Bolsonaro, like Trump, has made heavy use of Twitter and Facebook to talk directly to voters. That became especially important after the candidate was stabbed on Sept. 6 and confined to the hospital for more than three weeks. Last week, even after being released from the hospital, Bolsonaro skipped the most important televised debate on major network Globo, citing his doctors’ orders. Instead he held nightly Facebook live sessions with political allies and did interviews with friendly stations. “The idea that you would skip the debate on health grounds but then have three 10-minute interviews with a friendly TV networks is very Trumpian at its core,” said Matthew Taylor, associated professor of Latin American politics at American University, adding that for both men such a heavy reliance on social media helped them overcome initial resistance to their candidacies.